Back in the days before household electricity, manual kitchen tools were kitchen staples. 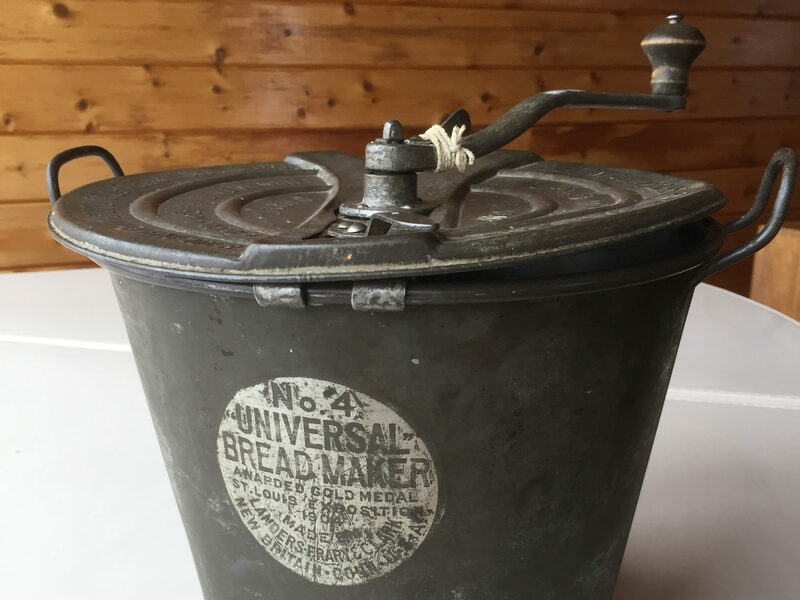 Hand crank egg beaters, butter churns, apple peelers and bread makers — these human-powered tools allowed people to process and prepare food more efficiently. But nowadays, many of these traditional appliances have been replaced by electronic ones. Nevertheless, some people still prefer the timeless designs of hand crank appliances to their electronic counterparts. They find manual kitchen tools to be simpler, more reliable, easier to fix, eco-friendly, and in some cases, nostalgic. Catering to that crowd, Lehman’s, a family-owned and operated business in Ohio, sells a wide variety of hand crank appliances and other power-free tools. Their customers include people who live without electricity, such as the Amish, as well as people who are energy-conscious and seeking to live a simpler life. Founded in 1955 as a local hardware store in the heart of Amish country, Lehman’s now sells goods from their flagship store and online. One of the store’s best sellers is their hand crank Weston Roma Tomato Press and Sauce Maker, which can also be used to make tomato sauce, mashed potatoes, refried beans, baby food, salsa and much more. Also popular are their several brands of hand crank grain mills. Other manual kitchen tools in their inventory include a coffee mill, nut chopper, meat grinder, can opener and blender. While most hand crank appliances can be used to prepare a variety of foods, others have specific purposes; for example, a pea sheller or ice cream maker. Then some hand crank items — such hand crank industrial and farming tools — aren’t used to prepare food at all. Hand crank drills, knife sharpeners, sickle grinders, seed spreaders, hand wringers and compost cranks — these items were used more frequently in the 19th century, but many people use at least a few of these low-tech tools today. In fact, some believe these old designs are coming back into fashion. In support of this trend, the Museum of Old Techniques or “Museum voor de Oudere Technieken” offers collections of old tools — including many hand crank tools and appliances — along with demonstrations and hands-on exhibits at three locations throughout Belgium. But not all hand crank tools are “old.” Hand crank flashlights, radios and cell phone chargers are newer inventions that are often included in emergency kits. These new inventions that convert human power into emergency electricity only drives home the idea that, at the end of the day, you can always rely on simple, hand crank appliances and that they’re one important component of being more self sufficient. All you need is a good grip and little elbow grease.